With the way the WVU football season ended and the basketball season has gone so far, maybe you need a reminder how great Mountaineer fans are. Here’s statistical proof Mountaineer fans are incredible and among the best. 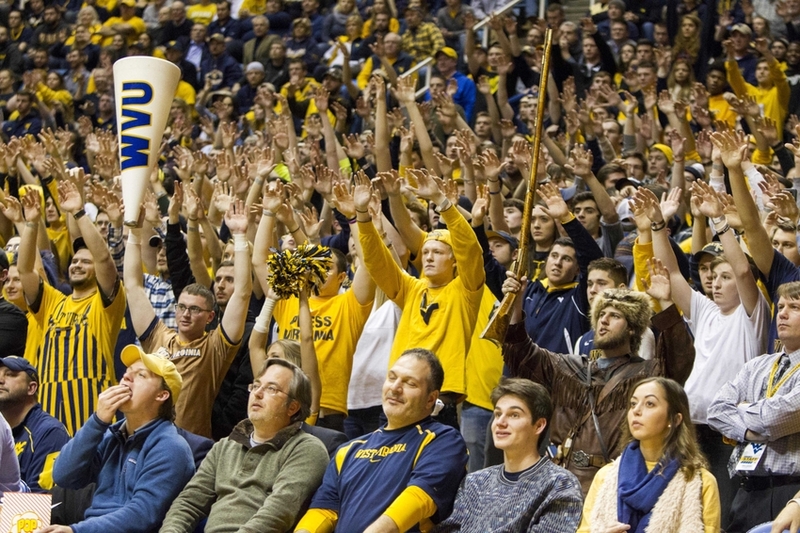 In 2017-18, West Virginia basketball’s average home attendance ranked 31st in the nation. In the 18 games played at the Coliseum last year, the overall attendance was 204,742, which is an average of 11,374 fans per game. This ranks ahead of UCLA (11,182), Michigan (11,121), Florida (10,690), Texas (10,490), and, of course, Pitt (8,327)! WVU ranked fourth among Big 12 teams behind only Kansas, Iowa State and Kansas State. West Virginia basketball also outranked Duke, which averages a sellout of 9,314 fans per game at the smaller Cameron Indoor Stadium. In addition, WVU ranked 19th in overall attendance (home, away and neutral site games combined). That’s good for 2nd in the Big 12, behind only Kansas. Not only do we pack the Coliseum, we travel in droves to support our team! The numbers don’t lie. West Virginia has some of the best, most passionate fans in the country! The notion of West Virginia being a football only school is flat-out false. With recent improvements to the Coliseum, some of the most supportive fans in the country, and one of the best coaches of all time, there isn’t a better place to play or watch college basketball than right here in Morgantown, WV.